Wembley Park will become the largest build to rent development site in the UK as Quintain announces programme for 5,000 PRS homes around the National Stadium. With funding and planning secured, construction will also be at a pace not seen at any other major development site, with 3,000 homes under construction by the end of 2017. The homes will be available through Quintain’s build to rent business, Tipi, which Quintain launched in April 2016. 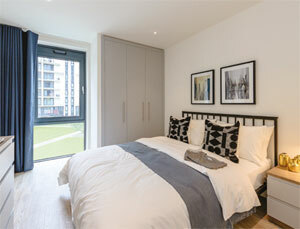 Tipi already manages 141 apartments at Wembley Park. Tipi tenants pay no agent’s fees, no inventory fees, a reduced deposit and all their utility bills and ultra-fast broadband are included in the rent. Tipi’s on-site professional management means tenants do not need to search out an absent landlord or agent. Angus Dodd, CEO, Quintain, said, “Our commitment to build to rent at Wembley Park means we can deliver the homes London needs far faster than if we were selling homes privately and ensures they will be occupied very shortly after they are complete.